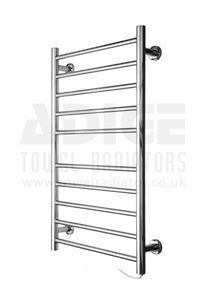 If you are looking to heat your bathroom and add the extra comfort of warm, dry towels, but don’t plan to have central heating in your home, then electric towel rails by Adige offer a great solution. 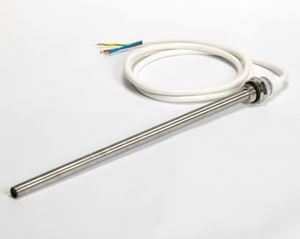 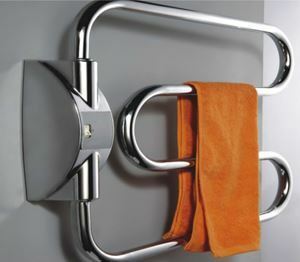 These stylish electric towel rails provide all of the warmth and style of towel heater radiators with electric heating. 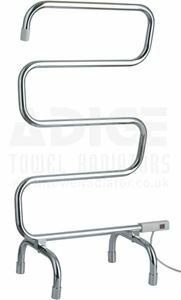 You can choose from a DRY type electric towel rail with minimal installation effort or select a pre-filled type WET version for more heat, comfort and size options. 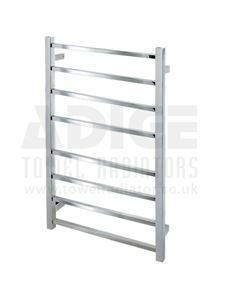 Whatever the size and layout of your bathroom, you are not limited to products in this section alone as you can convert almost all our towel radiators listed under other categories to an electric only use one by adding an electric heating element.Please click here for details on how to achievethis. 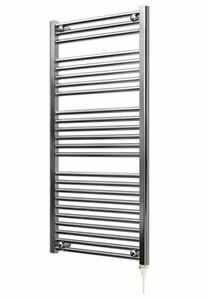 500mm wide and 750mm high pre-filled chrome flat heated towel rail with 253 Watt - 864 BTU/h heat output @ Delta 50. 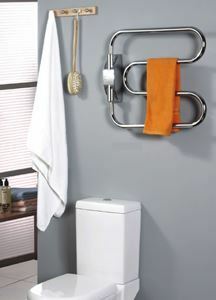 Comes complete with 200 Watt standard type electric element. 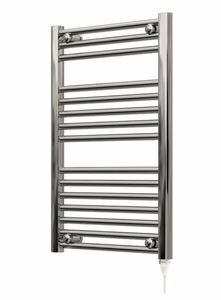 500mm wide and 750mm high pre-filled chrome flat heated towel rail with 253 Watt - 864 BTU/h heat output @ Delta 50. 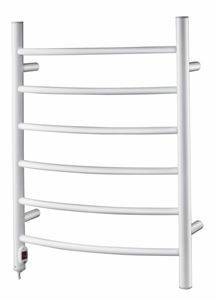 Comes complete with a water temperature based 300 watt thermostatic electric heating element which you can regulate temperature. 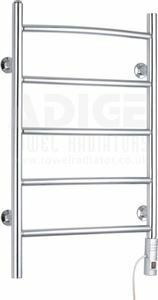 500mm wide and 710mm high stainless steel flat electric Towel Rail. 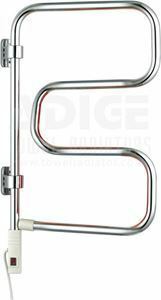 500mm wide and 800mm high chrome plated curved electric towel rail. 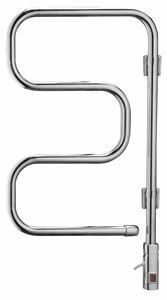 500mm wide and 800mm high stainless steel curved electric towel rail-70 Watts. 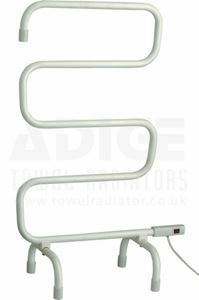 500mm wide and 800mm high white coated curved electric towel rail. 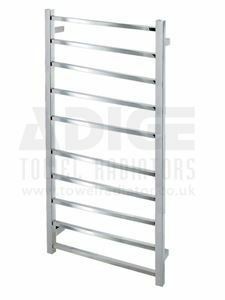 530mm wide and 700mm high square Tubed stainless steel ladder style electric towel rail- 80 Watt. 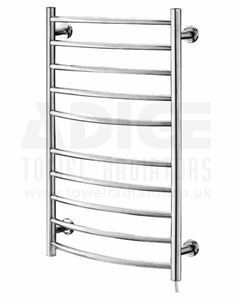 400mm wide and 740mm high electric towel rail in chrome - 60 Watt. 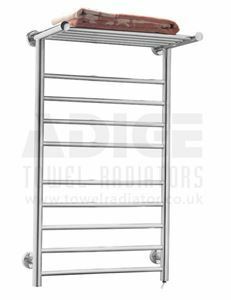 600mm wide and 520mm high electric towel rail in chrome - 60 Watt Fixed Power. 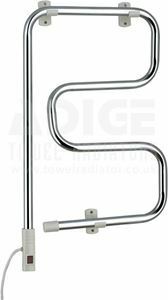 400mm wide and 720mm high stainless steel swivel Electric Towel Rail-50 Watt Fixed Power. 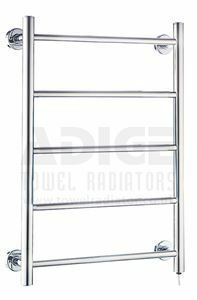 400mm wide and 740mm high swivel electric towel Rail in Chrome - 60 Watt Fixed Power. 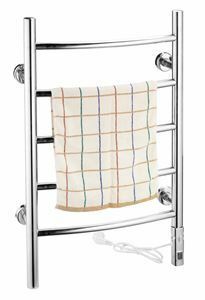 Free Standing Electric Towel Rail in Chrome - 80 Watt Fixed Power. 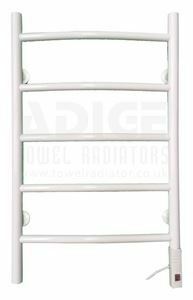 Free Standing Electric Towel Rail in White - 80 Watt Fixed Power.